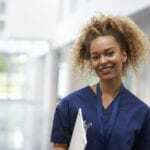 Enrolling in a Bachelor of Science degree in nursing (BSN) program to obtain licensure should be just the beginning of your educational preparation as a nurse. 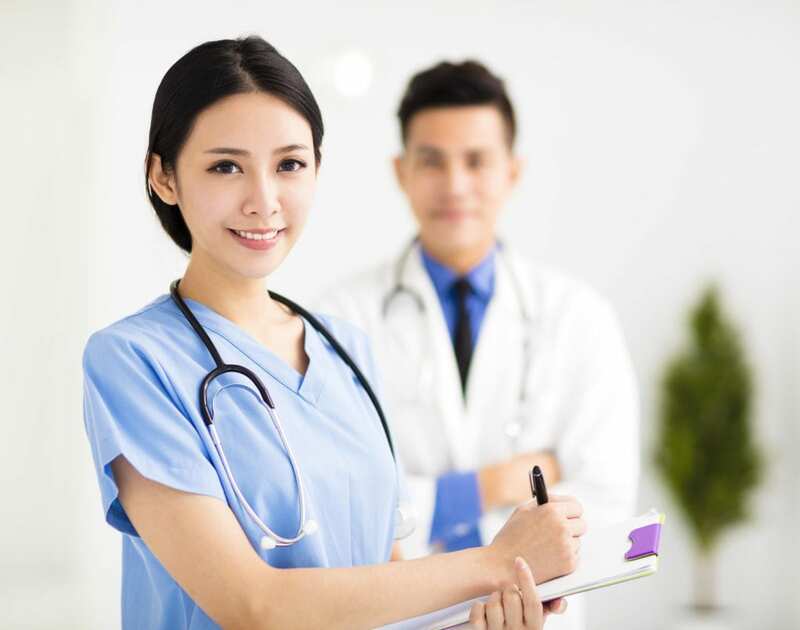 The rapidly changing health care environment and expanding role of nurses demand a BSN education, at minimum, as it is the passport to a rewarding career and a Launchpad to specialized practice. The BSN degree prepares the nursing workforce with the competencies to lead transformative change with the patient in mind. Healthcare administrators and nursing organizations cite the complexities of the health care environment as the key factor in their calls for a better-educated workforce. As hospitals look to limit new hires to BSN-prepared nurses only, persons interested in a career in nursing should consider the BSN degree to become competitive. Graduates of diploma and associate’s degree in nursing programs are facing a challenge of finding jobs in hospitals and clinics even in Washington where there is an alarming shortage of registered nurses. If they are among the lucky few to secure employment in acute care, they have a difficult time functioning within the complex environment without the knowledge base and skill set that the BSN provides. The BSN degree helps registered nurses master the ever-changing healthcare environment. The call to nursing is a call to lifelong learning. The BSN degree helps RNs define their career path in such a way as to accomplish their personal and professional goals. For nurses practicing with an associate’s degree, the RN-to-BSN program supports the seamless transition to the BSN degree that employers want. Since the Institute of Medicine recommended increasing the number of baccalaureate-prepared nurses to 80 percent by 2020, newcomers to the profession should skip the associate’s degree programs and go for the BSN to increase their competitiveness and opportunities. The BSN program takes the development of clinical skills to another level, ensuring graduates have the competencies and mindset to quickly adjust to rapid transformations in the clinical setting. The four-year program is intense, including core nursing courses and lots of clinical practice in public health, community care, acute care, and long-term care. Simulated lab experiences prepare students for the clinical experience as the learn how to address common situations that occur in a real-world setting. In addition to nursing courses, the BSN program focuses on leadership skills, evidence-based practice, ethics, and community health enabling students to become transformational leaders. Research supports that having more nurses with a BSN degree or higher will improve outcomes for patients. Hence the national push for more nurses prepared at this level. The nature of the industry requires RNs to keep updated on the new evidence-based practices to stay on top of their game. The BSN provides them with a broader perspective on patient care to be the best nurse they can be. It also supports easy transition into graduate study to specialize in a designated area of care. With all the benefits that the BSN offers, it’s easy to see that it is the logical choice for anyone who wants to increase their potential within the profession. If you’re new to nursing, have a license to practice as a registered nurse, or have some type of prior education or experience in nursing, the following program outlines will help you determine your starting point on your quest to achieving a bachelor’s degree in nursing. LPN to BSN: Despite countless reports to the contrary, licensed practical nurses are still relevant. However, their employment opportunities have shifted from hospitals to long-term care settings where they may serve as senior nurses and supervise certified nursing assistants. LPNs seeking to return to the fast-paced halls of the nation’s hospitals can do so by enrolling in a registered nursing program. LPN-BSN programs accept transfer credits and give LPNs advanced placement within the program, allowing them to complete the degree in less time. Program graduates must take the NCLEX exam for registered nurses to obtain an RN license. RN to BSN: RN-to-BSN programs have recorded explosive growth as practicing RNs go back to school to upgrade their education and meet employer demands. Convenient schedules and online instruction help them to balance work and family commitments while they study. The program is open to any RN with an associate’s degree or diploma in nursing from an accredited program. The candidate must also have a license to practice as a registered nurse. Graduates of this program do not need to take the RN licensure exam. Traditional BSN: There’s a constant growth in the schools offering the BSN program for entry-level students. In past times, the associate’s degree programs reigned as more students took the easy and faster option for entry into registered nurses. However, as the BSN becomes the “chosen” degree for entry-level practice by most employers, more students are choosing this option. After four years of didactic and practical instruction, graduates are eligible to take the licensure exam for registered nurses. Fast-track BSN: Nursing graduates may or may not have some struggles finding a job, depending on location and expectations. However, they’re six times more likely to receive offers out of school than graduates of other disciplines. The fast-track BSN is designed for professionals seeking a career in nursing. They candidate must have a non-nursing bachelor’s degree from an accredited program. With the transfer of general education and science courses, the student can begin core nursing courses and complete the degree in 12 to 24 months. The pre-licensure BSN degree program prepares students for a rewarding career in the nursing profession. Graduates are competent, compassionate nursing leaders who are equipped with the skills to practice in various healthcare settings. Classroom sessions will cover the foundational skills and theories. Within innovation practice labs, students will develop critical thinking and nursing skills as they work with preceptors in the controlled environment. The simulation lab at most schools will contain mannequins, tools, beds, and other equipment that students need to put theory into practice as they develop communication and teamwork skills. In additional to classroom coursework and practice in the simulation lab, students will log countless invaluable hours in the clinical setting that will prepare them for nursing practice. For admission to the competitive BSN program, the school will evaluate prior education, experience in the field, and personal and professional accomplishments to make a selection. A high school diploma or equivalent. Transcripts of education will be required. A criminal background check report is mandatory for participation in the clinical externship. A 10-panel drug screen. A positive report will bar you from entry. Meet the health requirements – up-to-date immunizations or waiver, TB clearance, a physical exam report, etc. Current CPR certification – American Heart Association – Health Care Provider certification. Letters of recommendations from professionals who can validate your integrity and commitment. The fast-track professional nursing program is open to candidates who already have a bachelor’s degree and are looking for a second career in nursing. The fast-paced curriculum may require full-time enrollment and will let students complete the program in approximately 5 quarters. The goal is for students to achieve foundational nursing skills in the lab before practicing in a real-world environment where they will provide nursing care under supervision. The clinical experience will cover more than a thousand hours of patient care experience in a hospital or other medical facility. Candidates must be committed, detailed-oriented, and highly motivated to complete the intense program. Instruction will include academic coursework, in-class lectures, clinical simulation, and supervised patient care in a health care facility. A baccalaureate degree in a non-nursing field. Must be completed before beginning the program study and must be from an accredited program. A minimum cumulative GPA of 2.8. Complete the prerequisite courses which may include organic chemistry, anatomy and physiology, microbiology, general chemistry, lifespan, growth and development, and statistics. Paid or volunteer experience in a healthcare setting prior to beginning the program. CPR certification for Healthcare Provider from the American Heart Association or Red Cross CPR. Check the school’s website for a detailed outline of the cost of the attendance, but remember that the figures are for planning purposes and estimation of fees only. Final costs may differ as all published fees are subject to change without notice. The average of cost attendance per quarter is $9,400 at public universities. Non-tuition expenses, such as CPR training, insurance, immunization, transport, textbooks, HIV/AIDS training, nursing supplies, and clinical expenses will increase the bottom line. Various forms of financial support, such as loans, scholarships, grants, and employer contributions are available for students pursuing this area of study.